Surely you are familiar with this food. 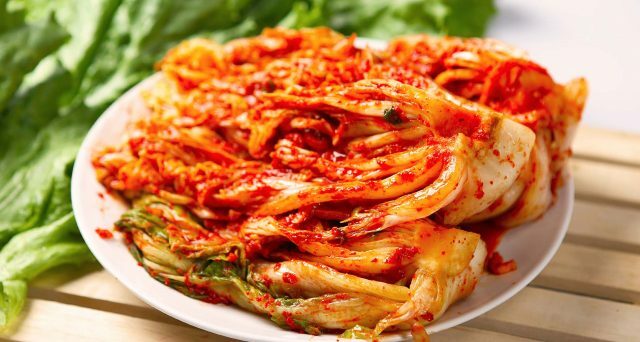 Kimchi is a fermented vegetable that can be eaten along with almost all of Korean main dishes. Almost all Korean restaurants provide Kimchi. Because of their love with this food, Kimchi is often served for free. The taste of Kimchi is spicy and sour, the longer the kimchi is being fermented, the richer and deeper it tastes. In addition, Kimchi is a highly recommended healthy food. This Korean snack is also no less famous than Kimchi. If you go to Korea, you can find tteokpokki sellers along the way. Usually, they sell it by car. There are also Tteokpokki sold in the restaurant and it tastes no less delicious. 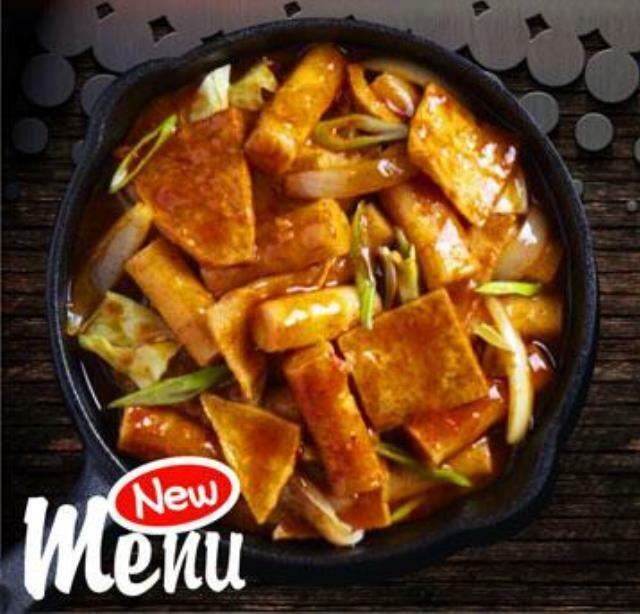 Tteokpokki is actually a rice cake served with a red sauce which tastes a little chewy. Tteokpokki street vendors usually also serve odeng (fish cake) and twigim (fries). Odeng is also suitable to be eaten with gravy tteokpokki. Kimbab is similar to sushi. 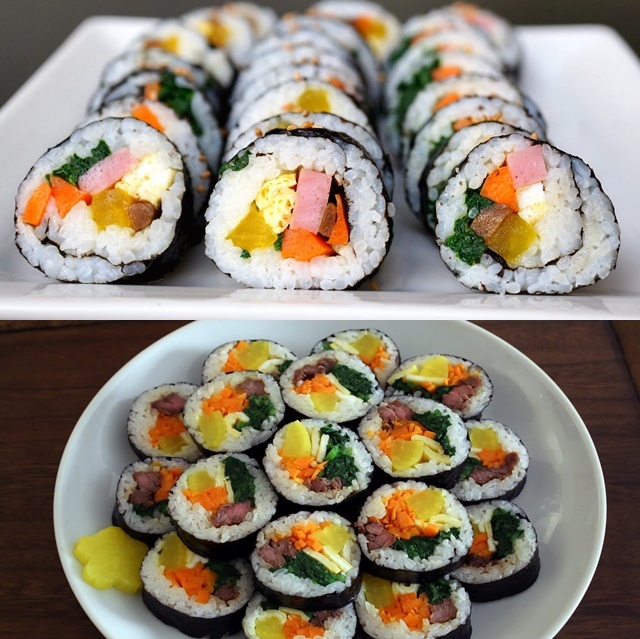 Kimbab is rice, vegetables, eggs and bacon or sausages rolled with seaweed. It’s not hard to find Kimbab, we can even find it in the supermarket. For flavor variants, Korean people usually add some cheese or even kimchi in it. In Korea, kimbab is quite cheap and filling. The best time to bring a kimbab is when picnicking or traveling with school friends. Maybe this is not one of the street food, but Korean fried chicken has a unique flavor and is worth to try, it tastes different from any chicken. What distinguishes it from the rest chicken dishes are its red sauce, savory, and spicy sweet flavor. Seeing the form of Korean fried chicken will certainly raise our appetite. 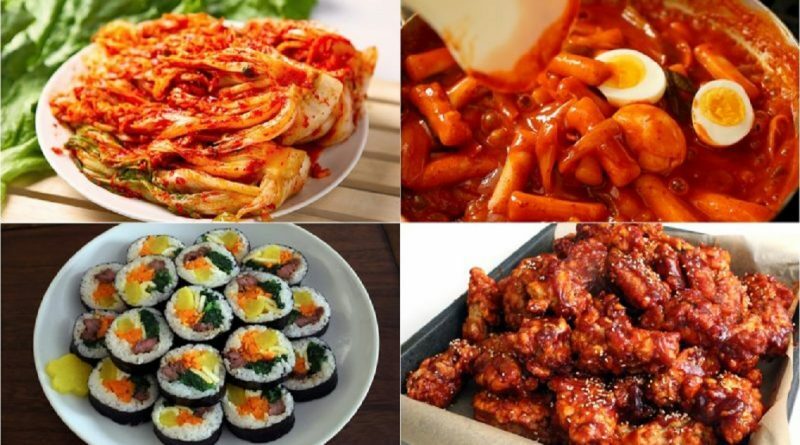 If kimbab is suitable for picnic, then Korean fried chicken will be the best dish suitable for watching the ball together or hanging out with close friends. In Korea, there is a famous term called ‘Chimaek’ or chicken and beer. Chicken is not eaten with rice but beer, but because in Indonesia drinking beer is considered illegal, we can replace it with soft drinks.